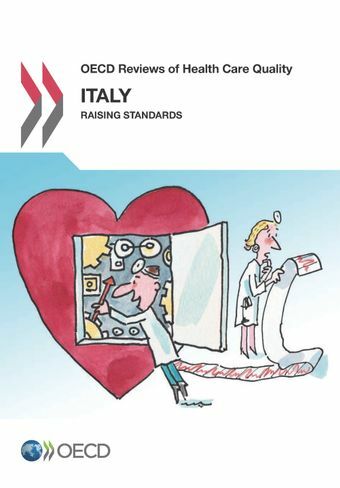 This report reviews the quality of health care in Italy, seeks to highlight best practices, and provides a series of targeted assessments and recommendations for further improvements to quality of care. Italy’s indicators of health system outcomes, quality and efficiency are uniformly impressive. Life expectancy is the fifth highest in the OECD. Avoidable admission rates are amongst the very best in the OECD, and case-fatality after stroke or heart attack are also well below OECD averages. These figures, however, mask profound regional differences. Five times as many children in Sicily are admitted to hospital with an asthma attack than in Tuscany, for example. Despite this, quality improvement and service redesign have taken a back-seat as the fiscal crisis has hit. Fiscal consolidation has become an over-riding priority, even as health needs rapidly evolve. Italy must urgently prioritise quality of its health care services alongside fiscal sustainability. Regional differences must be lessened, in part by giving central authorities a greater role in supporting regional monitoring of local performance. Proactive, coordinated care for people with complex needs must be delivered by a strengthened primary care sector. Fundamental to each of these steps will be ensuring that the knowledge and skills of the health care workforce are best matched to needs. The report was launched at the Italian Ministry of Health, with results presented by Stefano Scarpetta, Director of the Directorate for Employment, Labour and Social Affairs and Francesca Colombo, Head of the Health Division. Read more about the event and access the agenda. Italy’s health system is fully regionalised. It is a good illustration of the tension that can arise between allowing regional health systems to develop their own quality monitoring and improvement frameworks, whilst ensuring national consistency. Italy has sought to resolve this tension by creating dedicated agencies (such as AGENAS) and forums that aim to share best practice and offer targeted support to weaker regions. Marked differences in health system performance across regions persist, however, as measured by indicators such as 30-day mortality after a heart attack. Even more striking are the differences within regions. This underlines the need for regions to performance manage local hospitals, clinics and professionals in a consistently effective manner. In order to strengthen primary care, and effective management of chronic diseases in particular, Italy has made considerable efforts to experiment with new models of community care services, such as community care networks and community hospitals. These are characterised by a high level of integration between levels of care and rely on multidisciplinary care teams and personalised care plans. Italy has placed special emphasis on how training and continuing professional development of the medical workforce can drive quality improvement, and reduce regional disparities. Going forward, a particular challenge will be to better use patient feedback and other sources of routine data to encourage health professionals to reflect on and improve their practice.